The Town of Gawler is reminding eligible residents that the hard waste trial for concession card holders is currently underway. 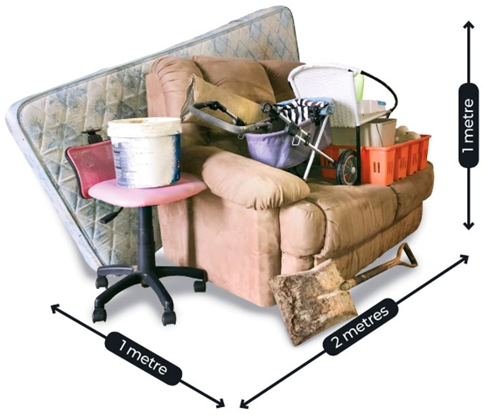 The Hard Waste Trial is limited to 460 services on a first-in basis, with each property able to dispose of up to 2 cubic metres of eligible material, or one 2.1m x 1.5m x 2.0m single-axle (caged) trailer load. “While the Hard Waste Trial is limited to specific Australian Government Pensioner Concession Card holders, the information collected will be used to inform Council in its deliberations about the provision of such a service to the wider Gawler community” - said Mayor Redman. · Furniture including carpets (must be rolled up) and mattresses. · Refrigerators, stoves, washing machines, dishwashers & small kitchen appliances. · Domestic household Items: e.g. toys, bikes, empty clean paint tins (with lids removed), car rims (not tyres) and other scrap metal. · Electronic items (anything with a cord). “The hard waste trial has been designed to complement Council’s existing community waste management system by providing a service that caters for the more bulky household items” - said Mayor Redman. For more information, including the terms and condition and how to apply to be part of the Hard Waste Trial, please refer to The Hard Waste Program or alternatively contact Council on 8522 9211.